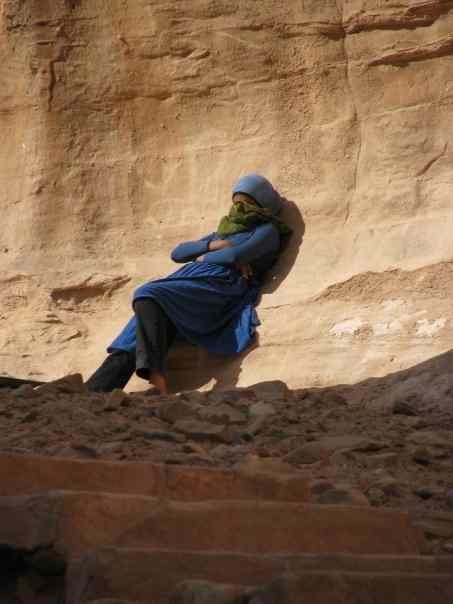 A young female merchant takes a break on the stairway leading up to Petra’s Monastery. Thank you, Elisa. I love the pop of blue on an otherwise neutral canvas.